Phoenix, AZ—It was a warm June day in 1976. It was nearing lunch time when in the Central Phoenix, Clarendon Hotel parking lot there was a loud explosion. Emergency responders found a severely injured man in a mangled small white Datun agonizing in pain. A remote controlled bomb that had been attached under the driver’s seat by magnets did the job it was designed to do. The man was transported to the nearby Str. Joseph’s Hospital where he suffered with the loss of both legs for no less than ten days before his injuries took his life. Soon the explosion was heard in newsrooms throughout the world. The victim, reporter, Don Bolles would become a legend. What followed was some of the worst police work in Arizona history. Reporters from throughout the country all descended on Phoenix and virtually took over the police investigation. The problem was they weren’t cops. They knew a lot about conducting the paper chase of public records but they did not understand police work or the criminal justice process. Bolles death became known as the Arizona Project and brought about the birth of the venerable Investigative Reporters and Editors organization. The litigation both criminal and civil went on for decades. Death sentences were handed out and later, set aside. Multiple trials were held and over many years I made a significant portion of my living off of various related investigations. 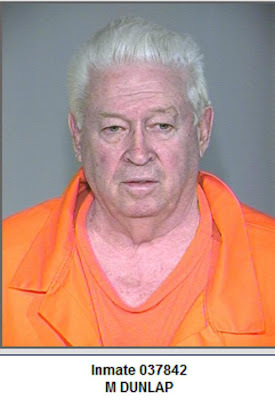 Today one man, Max Dunlap remains in the Arizona State Prison Complex-Lewis Southwest of Phoenix after his second conviction for the crime. It was believed that Bolles was blown up over his unflattering news stories about the late Arizona businessman Kemper Marley, Sr. Like any major mystery conspiracy theories were the talk of the nation’s newsrooms. Police had to rely on physical evidence, and the stories of the people rounded up as a result of the investigation. Sorting out the truth was an impossible task. 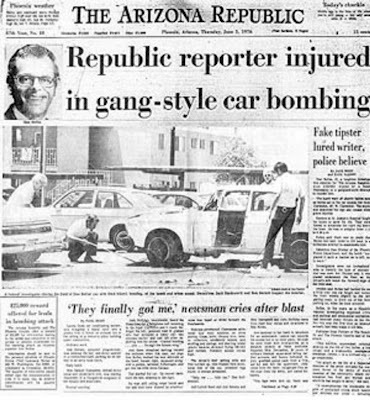 The vicious bombing death and the fallout led to a lot of changes both in Arizona law enforcement and Newsrooms. After Bolles the Phoenix Police Department made their offices off limits to reporters, who formerly had the run of the place. Ben Affleck and Miramax Films along with producer Sean Bailey are working hard to share this compelling story to a theater near you. Hey Paul, this sonds interesting!! When does this come out? Has it already?